Noise-Induced Hearing Loss (NIHL) is one of the number one types of hearing loss. 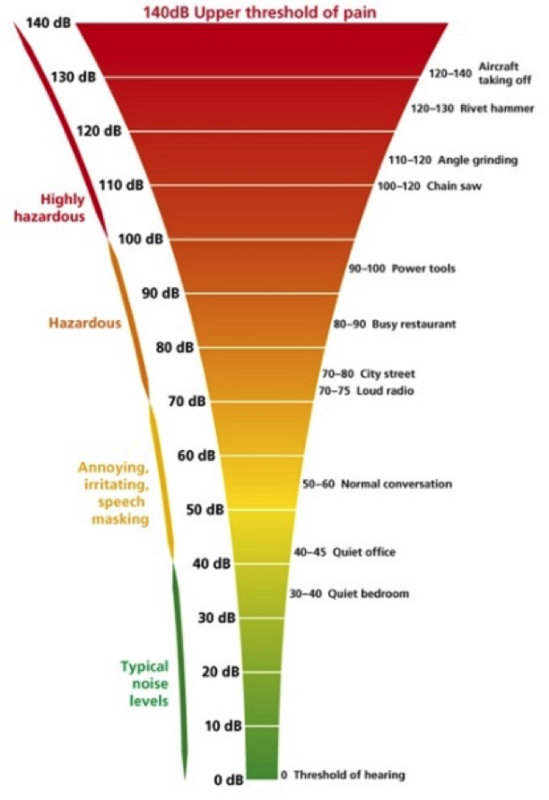 There are two main types of noise-induced hearing loss: acoustic trauma, which is very rare, but can occur due to a sudden very loud sound such as an explosion, and progressive noise-induced hearing loss, which is most commonly found in the workplace due to long exposure to louder sounds over a long period of time. Progressive noise-induced hearing loss is very gradual, so it typically goes unnoticed for quite some time. Initially, a progressive noise-induced hearing loss might just be temporary and recover at the end of a work day; however, after years of exposure, the loss becomes permanent. It’s important to know that noise-induced hearing loss doesn’t only happen in the workplace, it can happen outside of work as well. Whether you are around workplace noise or recreational noise, it is very important that you understand their effects and protect your hearing. Not only does noise-induced hearing loss have auditory effects (hearing loss), but also extra-auditory affects which can include such things as fatigue, migraines, irritability, blood pressure, hormone levels, heart rate, etc. At Living Sounds Hearing Centres, not only do we help people already affected by any kind of hearing loss, but we also enjoy helping to prevent noise-induced hearing loss. We are proud to offer a variety of custom hearing protection such as solid ear defenders, filtered ear defenders, musician molds, sleep molds, and so much more.